There is something simply magical about this place. Seems not a lot of people know that it exists and it looks something right out of a movie. 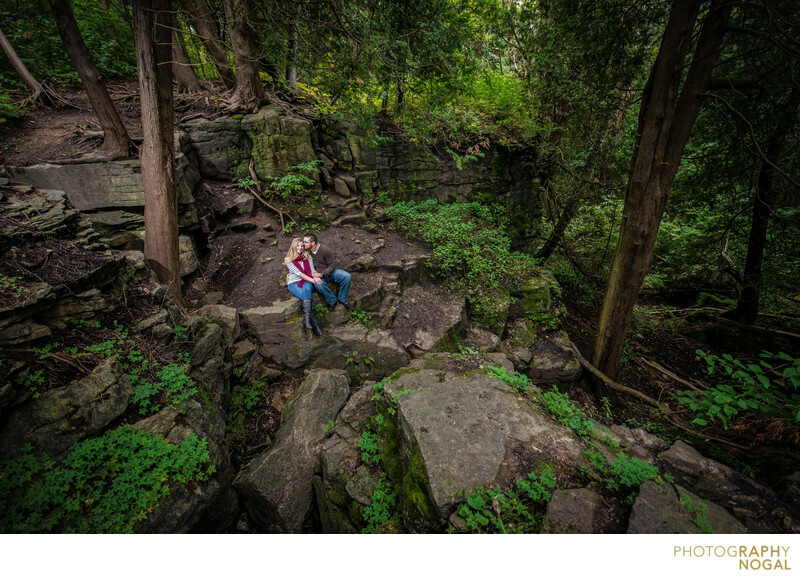 Our couple loved to hike, and so we decided Limehouse would be the perfect place to do their engagement session and tie in their love for nature and hiking. This image won a Wedding and Portrait Photographers International (WPPI) Silver Award in the Engagement category. This image was taken with the Nikon D800 at 1/320th shutter speed, aperture f2.8, ISO800 with 14-24mm f2.8 Nikkor lens at 16mm focal length. Location: 12169 5th Line, Limehouse, ON L0P 1H0.